This article proposes an alternate view of dimensional homogeneity that greatly simplifies the solution of nonlinear engineering problems. The conventional view of dimensional homogeneity is generally credited to Fourier (1822). 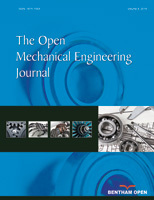 The objectives of this article are to describe the alternate view of dimensional homogeneity and to demonstrate its application to practical engineering problems. By presenting the solution of several nonlinear engineering problems, this article compares solutions based on the alternate view of dimensional homogeneity with solutions based on the conventional view. Example problems demonstrate that nonlinear engineering problems are much easier to solve if the solutions are based on the alternate view of dimensional homogeneity rather than the conventional view. The relative simplicity results because the alternate view of dimensional homogeneity reduces the number of variables in nonlinear problems. The widely accepted view of dimensional homogeneity should be replaced by the alternate view because the solution of nonlinear engineering problems is greatly simplified. Keywords: Dimensional homogeneity, Parameter symbolism, Nonlinear phenomena, Engineering laws, Engineering science, Heat transfer, Modulus, Heat transfer coefficient, Parametric equations. © 2018 Eugene F. Adiutori.